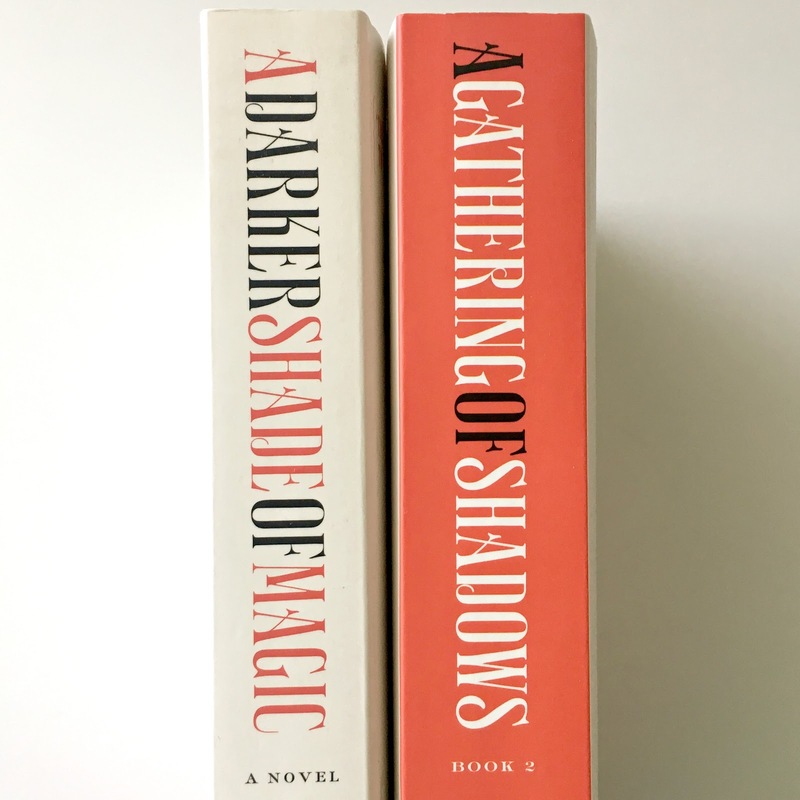 Note: The second in a three-part YA series, followed by A Conjuring of Light. V. E. Schwab also publishes as Victoria Schwab. "It has been four months since a mysterious obsidian stone fell into Kell's possession. Four months since his path crossed with Delilah Bard. Four months since Prince Rhy was wounded, and since the nefarious Dane twins of White London fell, and four months since the stone was cast with Holland's dying body through the rift--back into Black London. And while Red London is caught up in the pageantry and thrills of the Games, another London is coming back to life. After all, a shadow that was gone in the night will reappear in the morning. But the balance of magic is ever perilous, and for one city to flourish, another London must fall." "She bent most of the rules. She broke the rest." The first third was great: Lila has left London and is a pirate-in-training aboard an infamously dangerous captain's ship, and Kell is struggling to return to life as normal as a close associate of the royal family, his life now bound to Rhy's. Awesome. 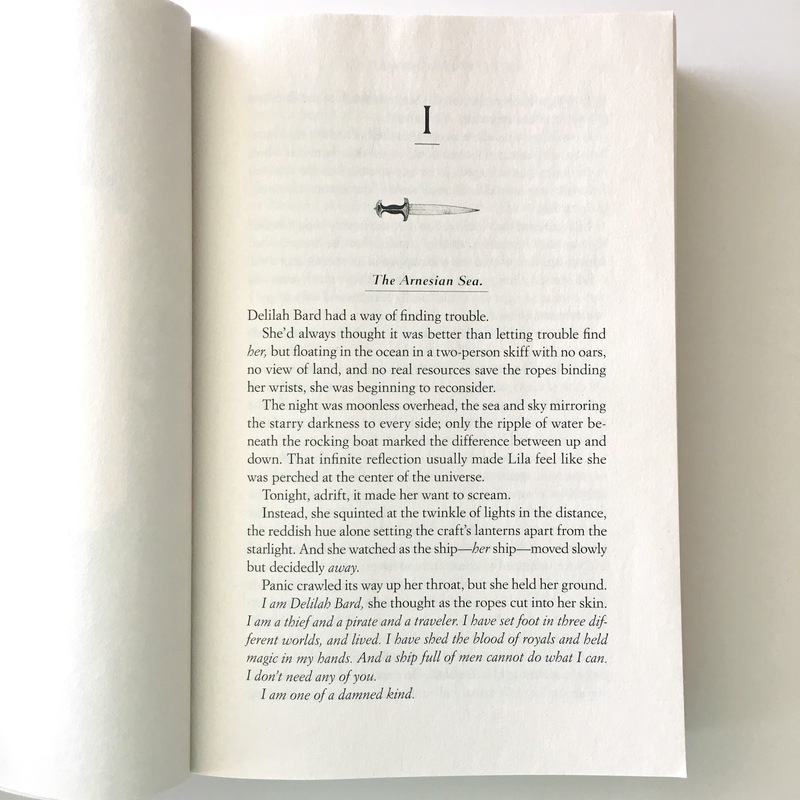 The beginning is fantastic because it starts in media res with Lila adrift in the ocean and the reader having no clue as to how she got there. As the story proceeds through her point of view, on the one hand I was intrigued by the setting and seeing what she was up to on her own adventures, but on the other hand I was really put off by how violent she is, often just for the sake of being violent. The next third of the novel was just really slow, boring, and there were some major plot holes and spots with poor writing. This was extremely disappointing to me. I was invested in Kell and Delilah and their stories, and annoyed by following other characters' points-of-view. These pages felt like treading water as if the story wasn't sure where it was going. Even more disappointing, was the last third of the novel which was predictable and a bit ridiculous (some online reviews reported that some readers actually shed tears...what?). Spoiler: Do you really think the author is going to kill off one of her two main characters so easily and carry on through an entire third installment without them? This isn't LOST. I understand the need for cliffhangers, but I wasn't buying the drama in the book's final pages. Furthermore, my real struggle with the ending was based on the fact that I find it impossible to believe that Lila mastered learning magic all by herself in just a couple of months. Mastered. Magic. Alone. With no help. Quickly. And the story doesn't detail how this happened. Really? 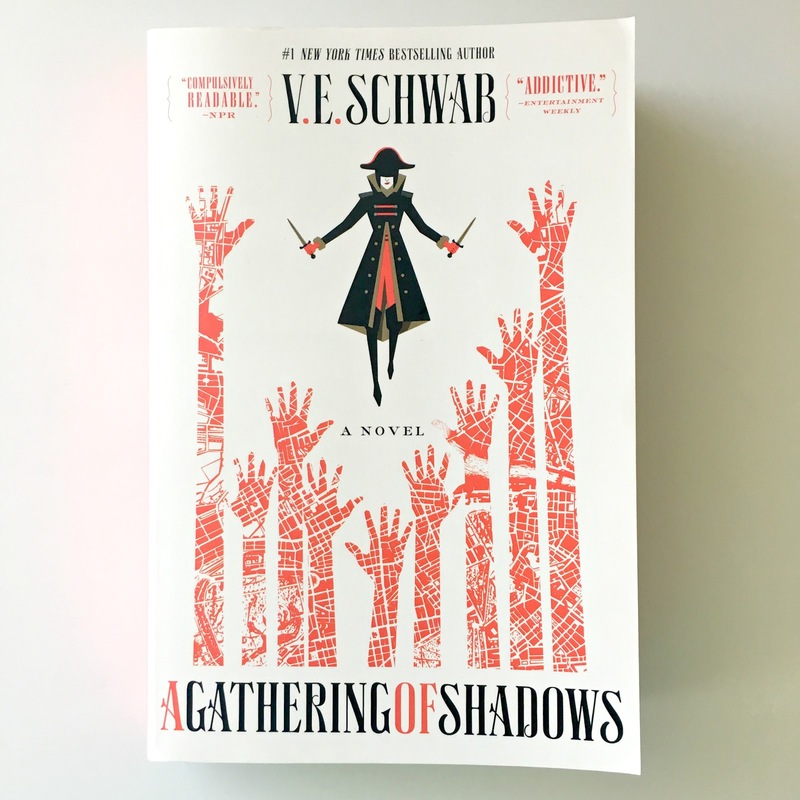 Overall, I liked A Gathering of Shadows enough that I finished the series, but the majority of that motivation was based on how much I loved the first book and what I liked in the first third of this one. Because of this, I borrowed the last book from the library instead of purchasing my own copy.